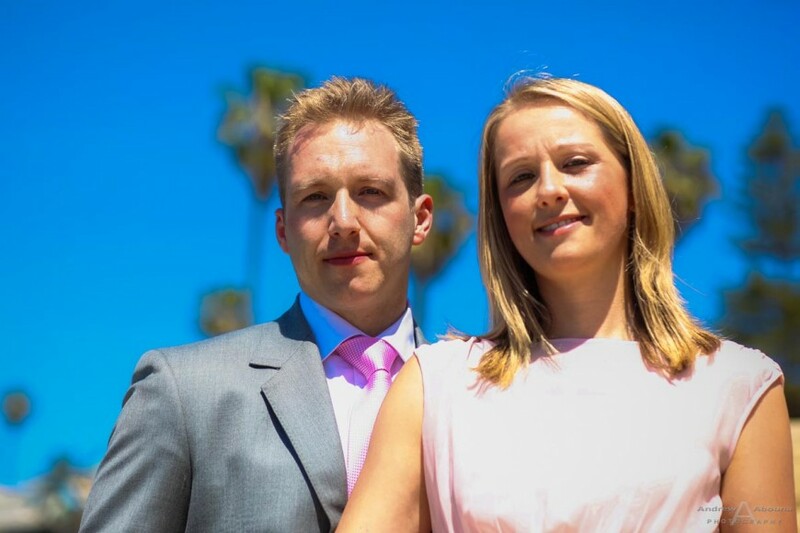 All the way from England (like me), Vicky and Rich traveled across the ‘pond’ for their destination wedding in San Diego!, CA! 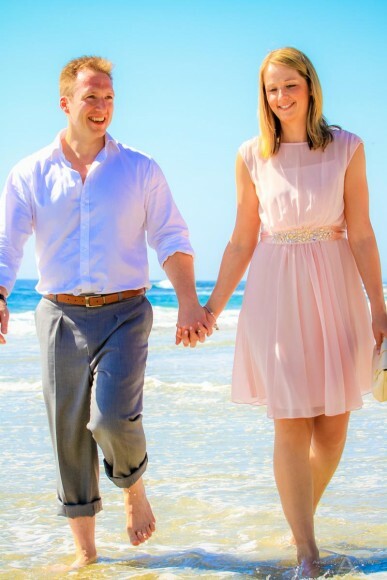 Vicky first contacted me a couple of months ago after finding my wedding photography site online, and I’m very glad she did. 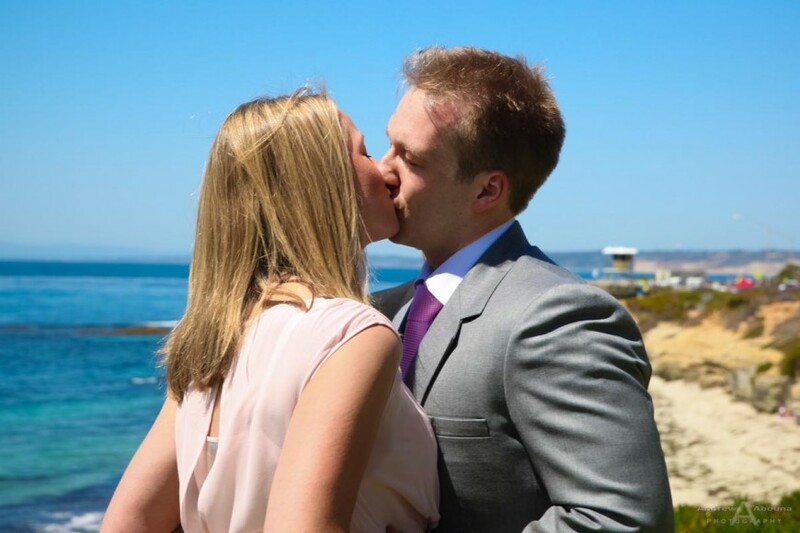 We worked out all the details across the miles and before we knew it, she and Rich arrived in the U.S.. 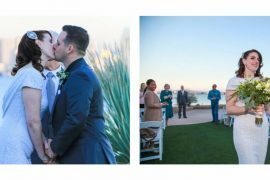 They also coordinated their ceremony with Pastor Mike, who officiated Vicky and Rich’s nice Cuvier Park wedding in La Jolla. 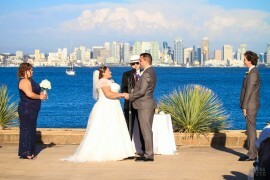 Featured on this page are a few of my photographer favorite photos from Vicky and Rich’s destination wedding in San Diego. 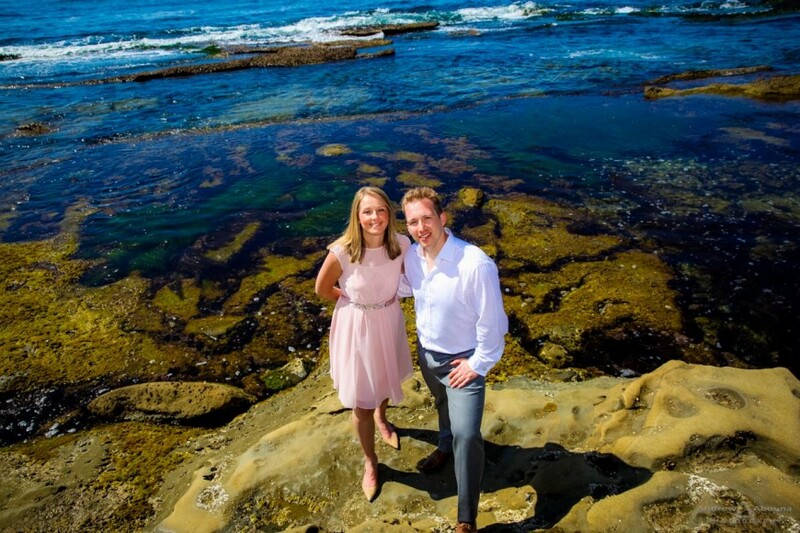 Their complete collection of wonderful wedding photos can be accessed in my San Diego Wedding Photographer Client Galleries (password required). 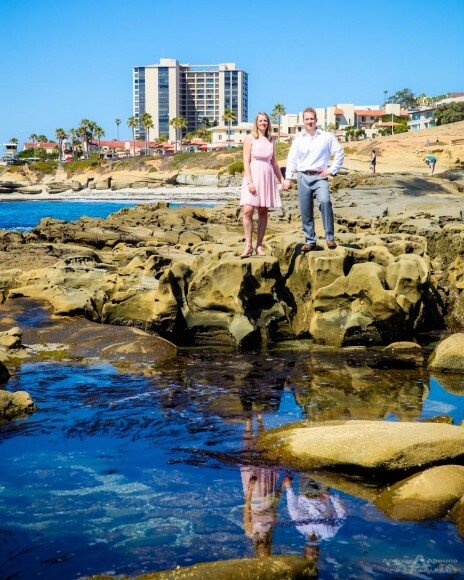 There were a lot of elements that made Vicky and Rich’s La Jolla wedding photography, not the least of which is the fact that they travelled a long way to come to San Diego to be married. 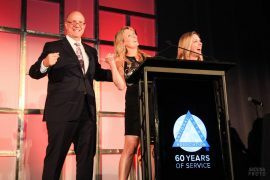 The couple were also so wonderful to be with and so happy. 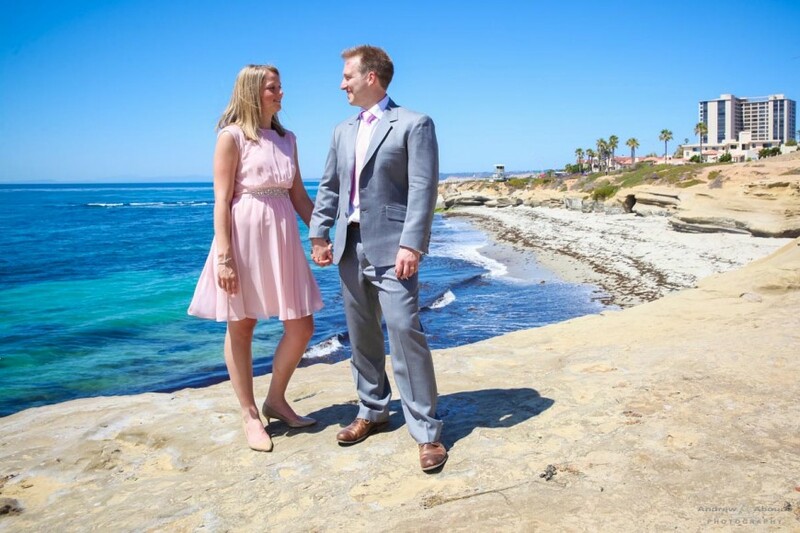 Combined with Pastor Mike’s pleasant personality, my relaxed style of wedding photography, and the fantastic weather and views of the Southern California coastline, I’d have to say that we created some nice La Jolla wedding photography for Vicky and Rich. 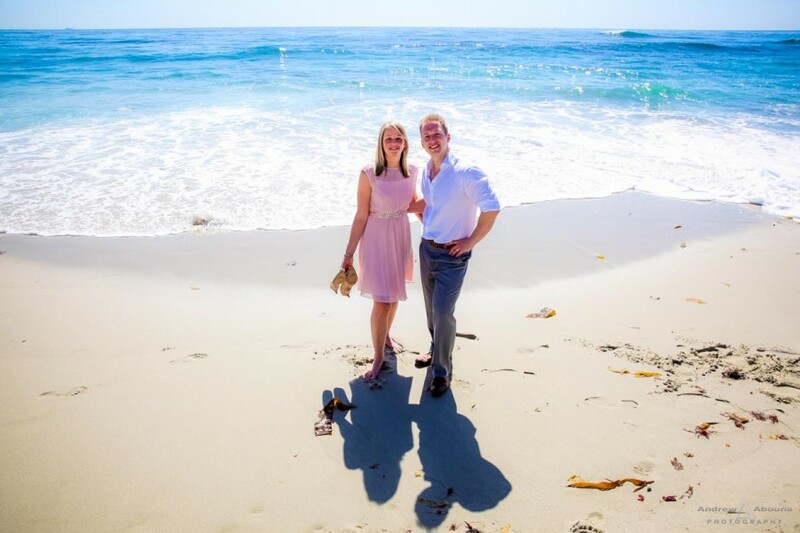 In addition to photographing the signing of their marriage license and notary documents, their wedding photography included their ceremony and of course a nice mix of posed and creative wedding shots at Cuvier Park, the nearby rocky shore, and we even took a little drive down to Windansea Beach. 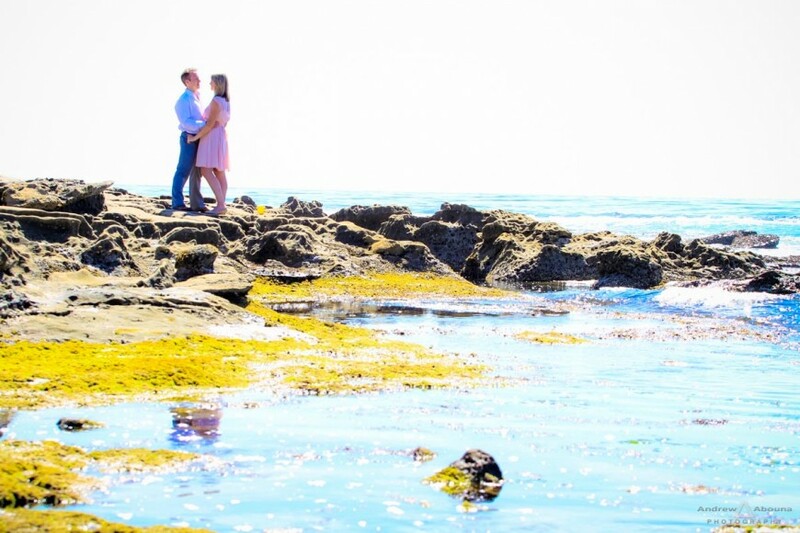 With a low tide, their La Jolla wedding photography captured some tide pools, green tones revealed by the receded water, and nice access to the sandy beach at Windansea. 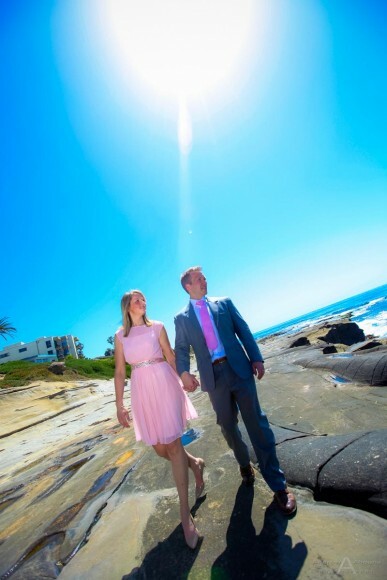 Vicky and Rich’s San Diego wedding photography had many great features, most of which are part of all of my wedding photography packages, as you can see in the accompanying photo. 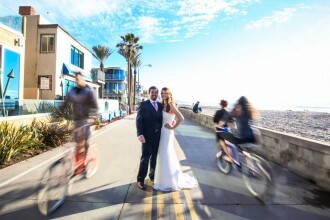 For starters, their wedding photography included an online gallery of ALL-edited, final images, each ready to share and print. 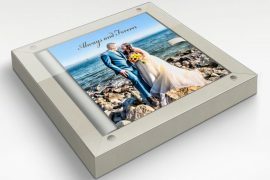 And speaking of prints, the package also features a set of professional prints in 8×10, two 5x7s, and four wallets for each of four images that they selected from amongst their favorites. 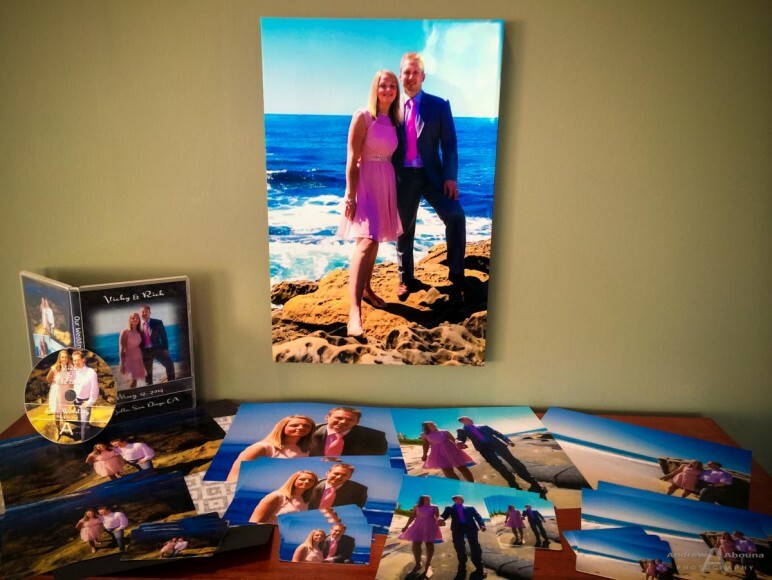 I also created a 12×18″ Standout, 3/4″ thick print that’s ready to hang, and because it doesn’t need framing it’s actually one of the best ways to enjoy a beautiful wedding photo while saving money. 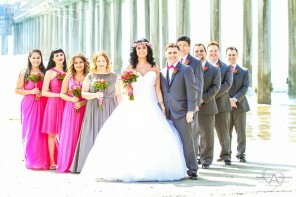 The couple’s San Diego wedding photography package also included a DVD of all images in high resolution, prints rights, and a slideshow to easily view their photos. 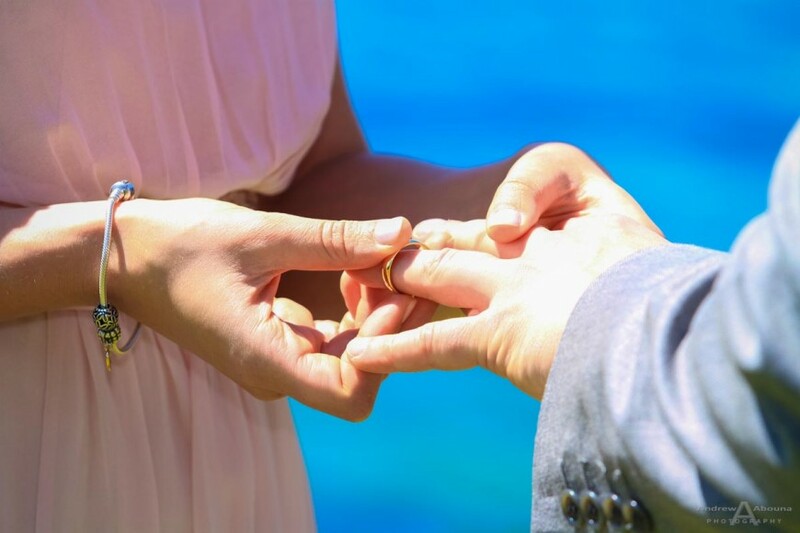 The disk also contains the couple’s wedding videography that I captured for them. A very big package of features for a lovely destination wedding, and shipped all the way to Great Britain!